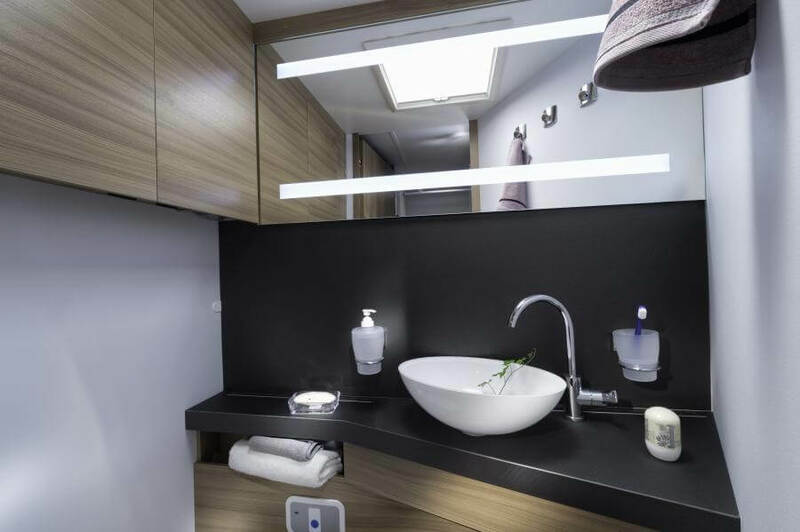 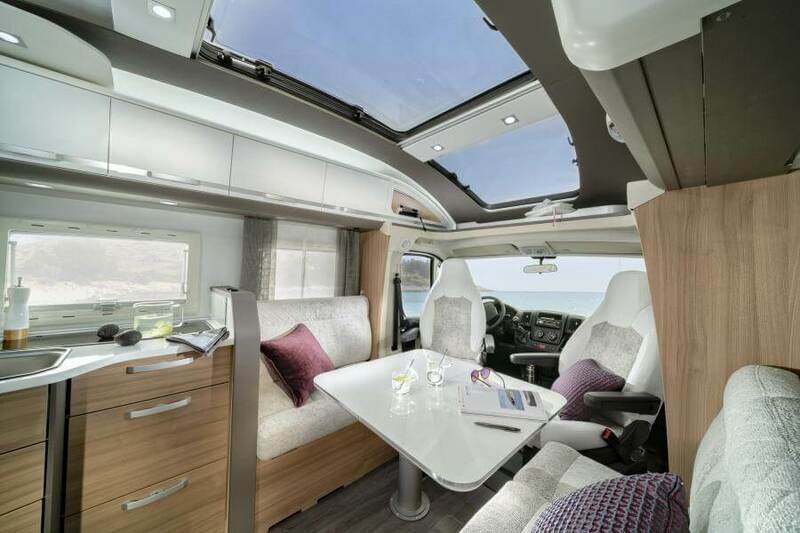 With new sky-line exterior profile, new skyroof double panoramic window and Adria Exclusive Sky Lounge are the result of blue-sky thinking in designing a motorhome. 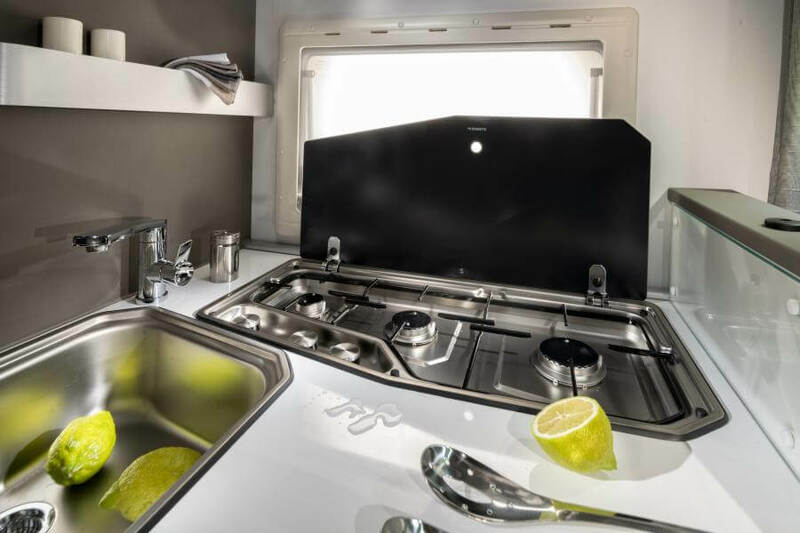 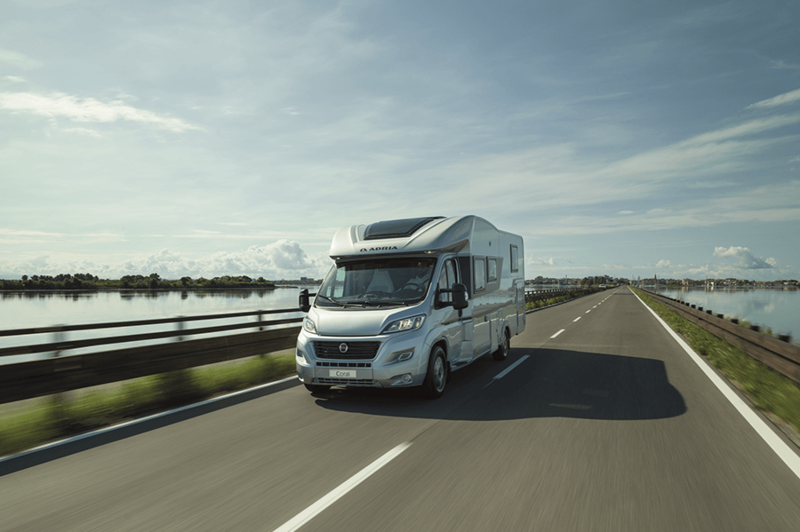 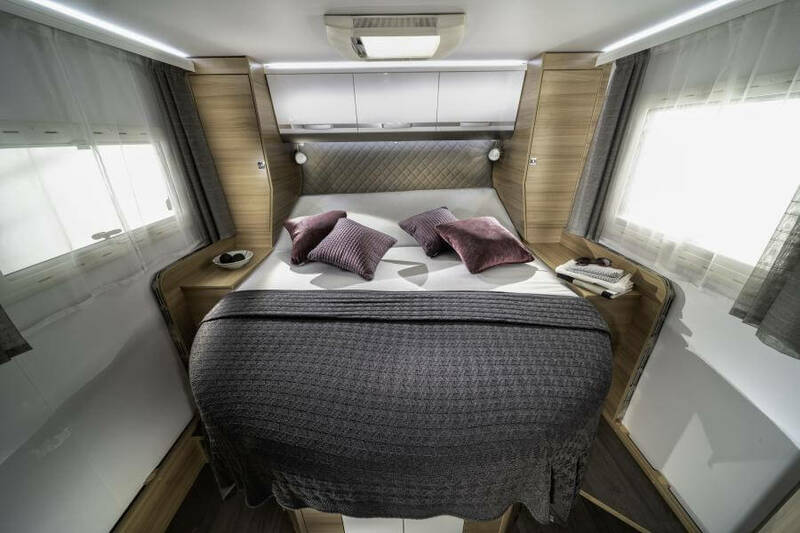 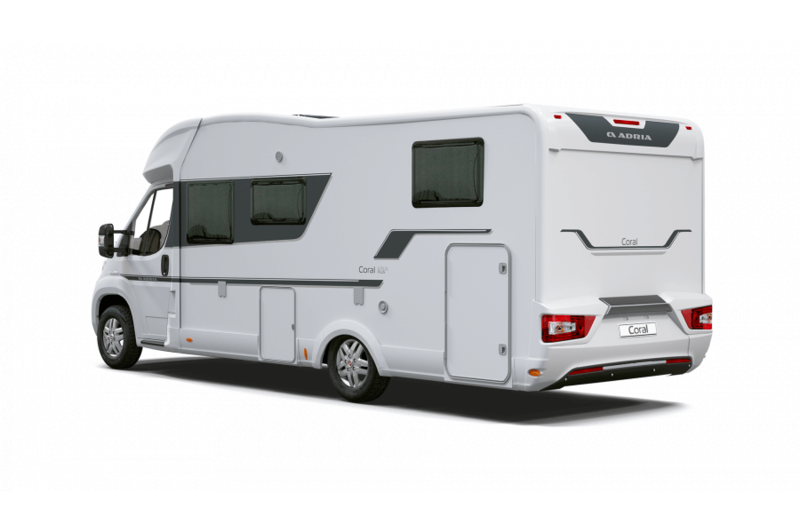 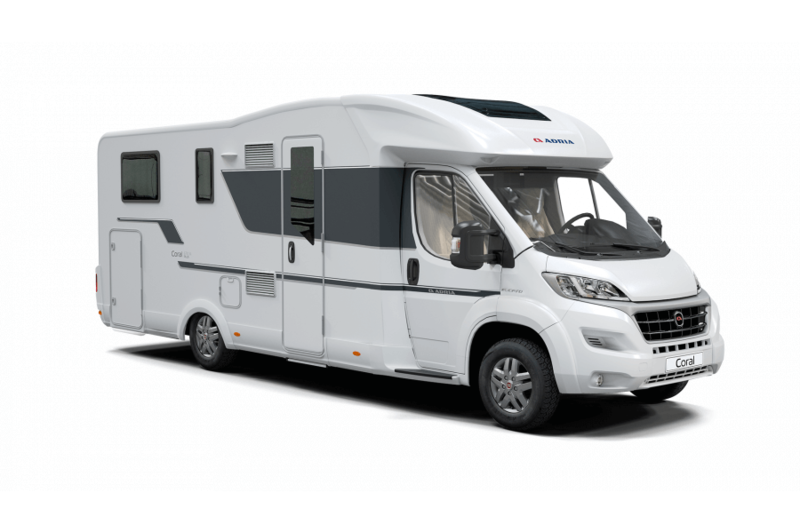 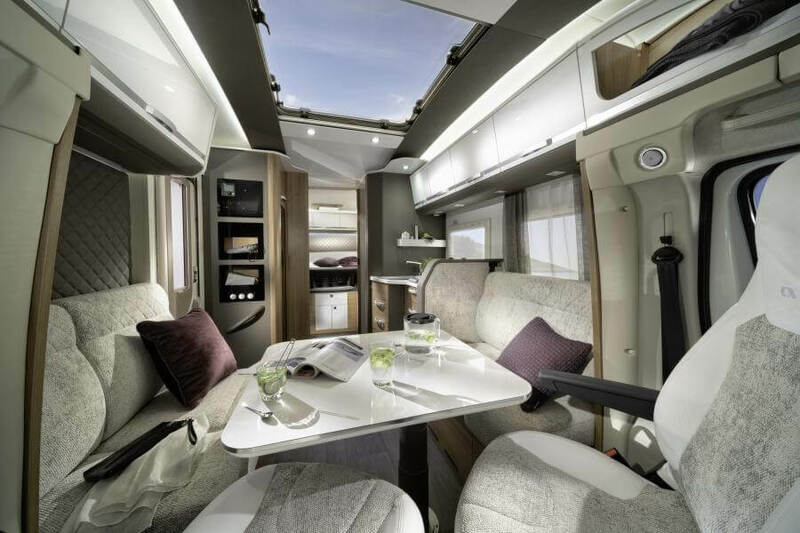 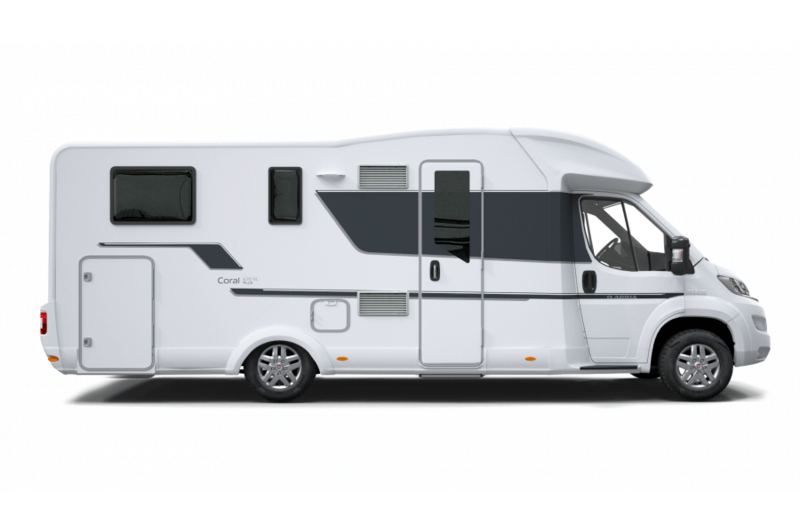 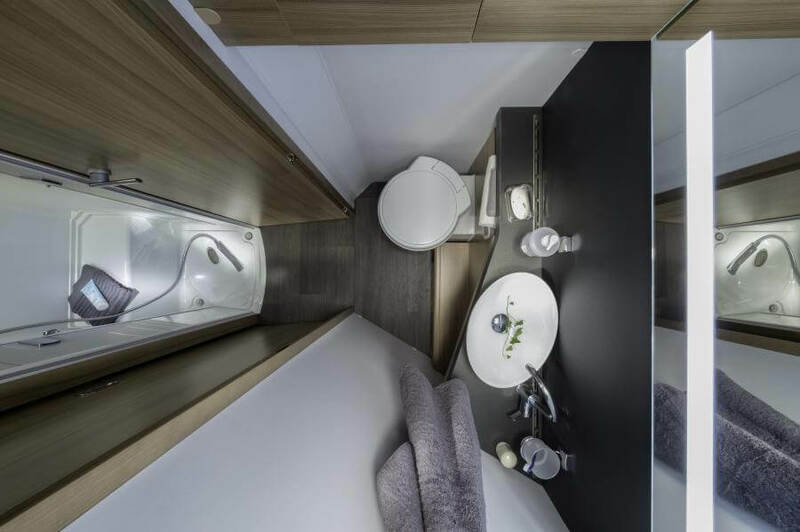 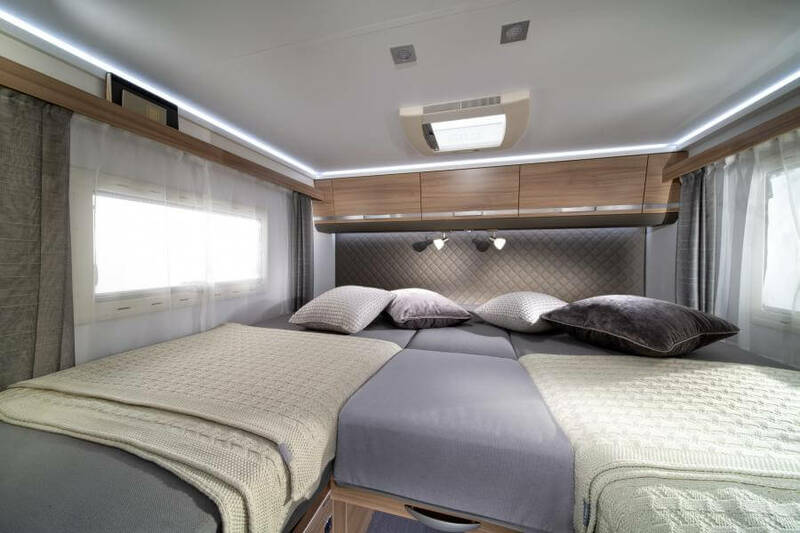 The new Coral sets the new benchmark for low profile motorhomes, with its exclusive new Sky Lounge, optimised space, new contemporary interior designs and layouts. 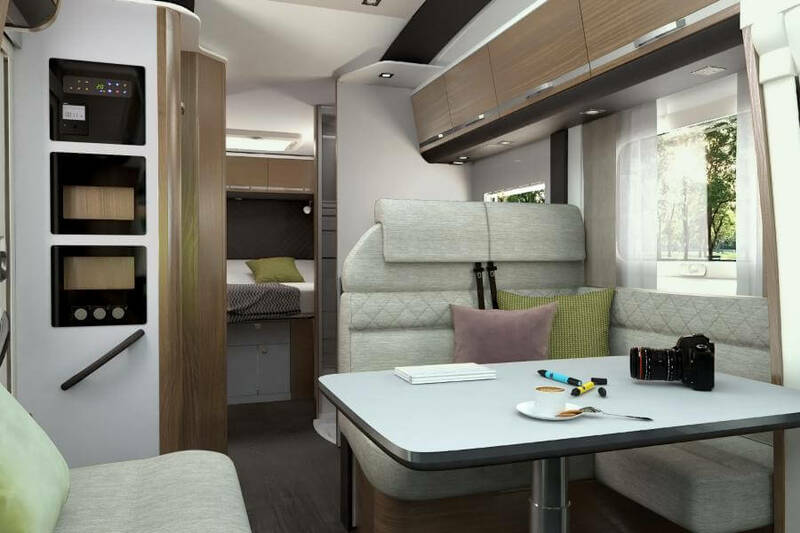 From the large lounge dinette, to the CleVer V-shaped kitchen with grill and oven, spacious washroom and comfortable bedrooms, the Coral offers loft-style living in a slim-fit exterior design.New for season 2018 our Tempo Brown interior design provides a warm and contemporary living environment, with premium wood style overhead cupboards and contrasting white surfaces, plus new textile choices.